When I was in my twenties, I had allll the time for myself and go figure, I didn't need that time too much at all. 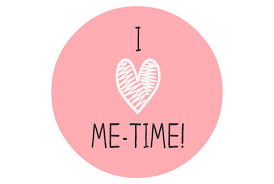 Fast forward ten + years, two kids and a busy life, and now more than ever, I totally need my me time. Here are just a few ways I get my zen in the midst of all the crazy kids. In the morning, I try to get up before anyone else-- especially my lovely but needy kids. My cup of tea, vitamins and my iPad to check the news, my emails and blogs are my favourite way to begin my weekday. If I get even a half an hour in, I'm good to go. My seven year old has now started waking up and reading a bit before breakfast as well. I adore working out.... I drop the kids to school and hit the gym for a while. I feel so much better after I exercise... and a long hot shower after... everyone in my family loves long showers incidentally. We save the planet in other ways. Even though it's mostly my family and our life I talk about, my blog is my little creativity corner where I get to sit and 'chat' for a while. It's a delayed conversation and all but my blog and my blog friendships have come to mean so much to me. So this one might be a bit crazy but after dinner is done, D takes them down to get ready for bed and to play for a bit but I put on a show and get to work packing the dishwasher and cleaning the kitchen. Call me crazy (some might) but it is so relaxing and I feel great when my kitchen is sparkling before bedtime. Ever so often, I grab lunch, coffee, dinner or even a phone call with a friend. Girlfriends are good for the soul. All the time. I reread my books and about 5-10 new ones for the year especially at summer time. Love it. A little show before bed, some peppermint tea (on weekends a treat), folding some laundry(!?) and sometimes a little self done manicure. When I have a little time to myself, I come back refreshed, recharged and ready. New mamas out there, me time is so important. Take it when you can! Even if it's just for a walk, a trip to the supermarket or coffee with a friend. What about you? 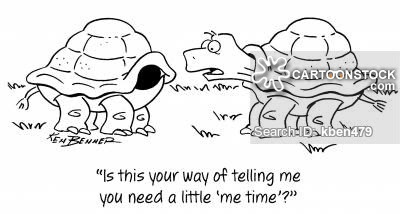 What do you do to get your 'me' time? Linking up a little late on The Blended Blog with some of my favourite lovelies. I like my coffee and blog reading time in the mornings, and reading my book before bed. Sometimes I just like time along in the house! So many of mine are the same... I just wish I loved cleaning my kitchen in the evenings. I can totally see the benefits I just feel so done by that point :/. I love my morning quiet routine....starts the day off just right. Great post and thanks for linking up! Me time, family time, and girl time are all good for the soul. Sounds like you found some balance and D getting the kids ready for bed gives him a chance to get some quality time because I presume he's gone during the day working. My me time is in the AM as well. I have to get up before the girls, just to do a few things for myslef and prep for the day. If I sleep in, I sometimes start the day way to stressed. Exervise is the best 'me' time I try to fit in too! It's so nice to not having your phone and you can really disconnect for an hour! I should think about kitchen clean up as me time, good idea. I'm doing it anyway so instead of thinking of it as a chore, it can be some time to appreciate. Lately it's been reading. I have been taking time most evenings to just read a bit before bed. Also, like tonight, every few months I get my hair done. It's so nice!